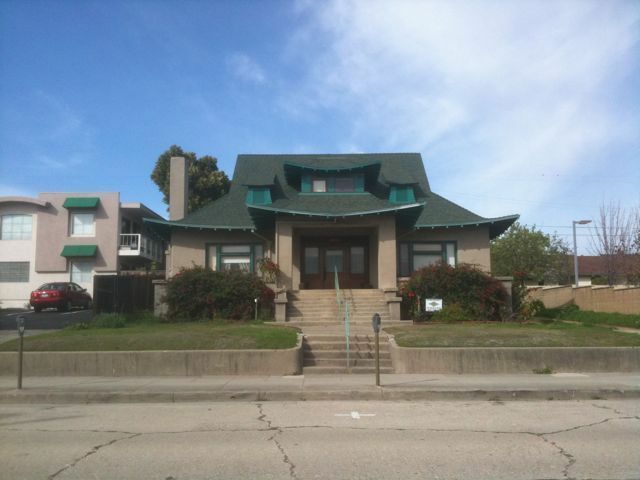 This is an often overlooked house in downtown San Luis Obispo. I haven’t seen many houses in CA of this style but it would sure be fun to build one. The rafters are probably cut from 2×12’s or 2×16’s in order to get those extreme curves.